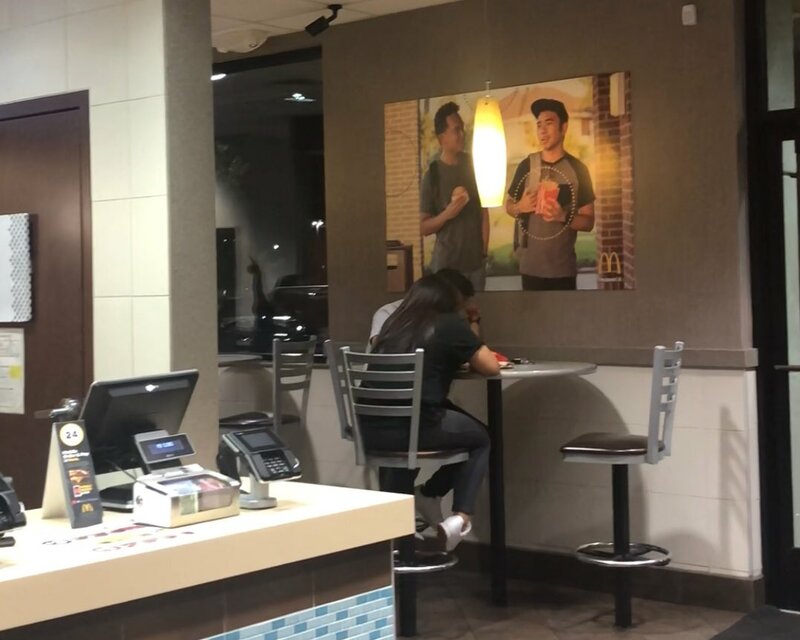 Finding a blank wall at a McDonald’s outlet in Pearland, Texas, two friends decided to put up their own poster there and see whether someone would notice. The prank did so well that the management didn’t even take it down for over 50 days! Jehv Maravilla, 21, and Christian Toledo, 25, are both Filipino-Americans living in the area. Jehv studies at the University of Houston. 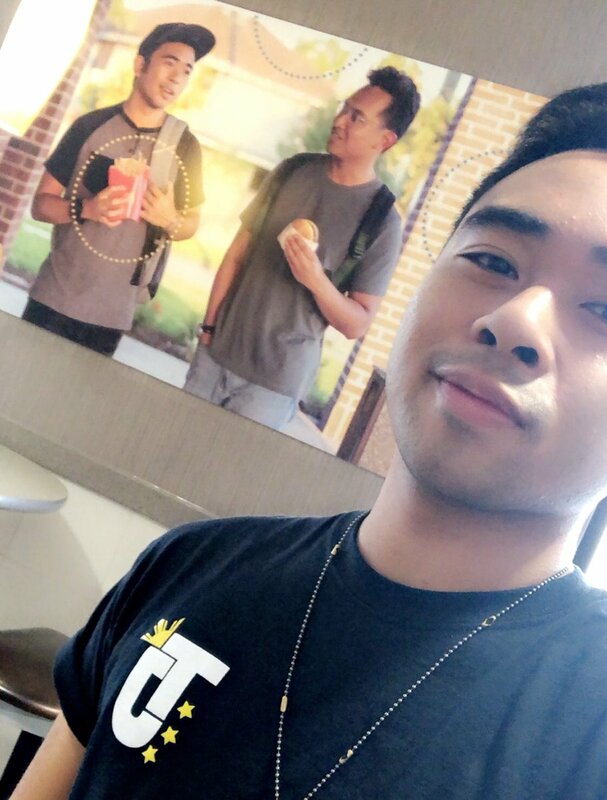 One day, while hanging at the local McDonald’s outlet, they noticed the blank wall which they said had been there for ages. The two immediately had an idea of decorating that blank wall with a McDonald’s poster featuring themselves. So, the two held a photoshoot to take the best shots after ordering some food from the fast food outlet. Afterwards, they edited the photo and sent it to the online Office Depot site to convert the picture into a poster. It actually cost them nearly $84.99 but the two friends had such a good laugh over their plan that they did not mind shelling out some cash for the poster, not to mention the food they bought for the photoshoot. Buy how could they put the photo on the wall without the staff reacting and booting them out of the store? Well, the two actually found a McDonald's shirt from a thrift shop; they bought it for $7. They went to McDonald’s wearing the outfit and introduced Jevh as the ‘Regional Interior Coordinator’ to anyone who asked. Then, they set up the poster on the wall, documenting the whole thing. The pranksters initially planned to keep it all a secret and constantly check the store whether the poster was still there but when it was actually still in place after more than 50 days, they decided to out the secret on Twitter. The prank quickly went viral, receiving more than 961k likes and over 246k comments in just 3 days! “We take pride in highlighting diversity in every aspect of our restaurants. 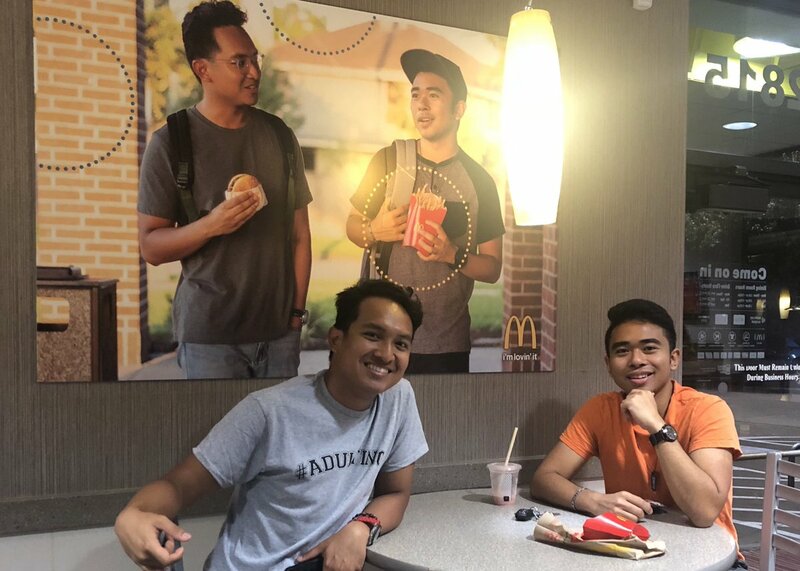 We applaud these students' creativity and hope to see them in our restaurants again soon,” the local McDonald's restaurant later said after the story reached them.